Isolated Tropical Fruits. 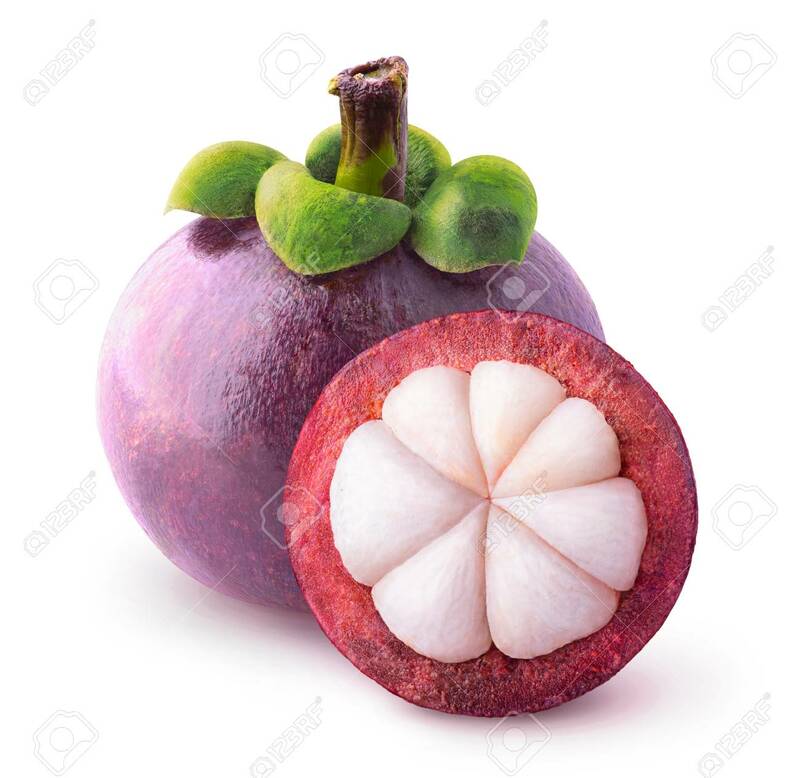 One Whole Mangosteen And Another Cut In Half Isolated On White With Clipping Path 免版權照片，圖片，畫像及圖片庫. Image 74350144.